In 1999, Schneider became a solo act, though performing at first under the band name Lonelyland (which he later dropped as a band name, but titled his first major label album after). Schneider's musical approach as a solo artist has proven as eclectic as the diverse musical styles of his former bands—a little bit singer/songwriter, a whole lot of bits and pieces of funk, country, rock, and folk. 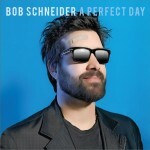 Because of the sexual nature of some of his lyrics, Schneider's music has been labeled as "adult alternative" by some. He went on to record the major label solo albums, Lonelyland (2001) and I'm Good Now (2004), which garnered him significantly more national attention and some critical acclaim. "Big Blue Sea" from the Lonelyland album received significant radio play, as did "Come With Me Tonight" from I'm Good Now. "Metal & Steel" from Lonelyland is, to date, Bob's most played song. His contract with his labels (signed with Universal in 2001, and then with Vanguard in 2004) allowed him to release albums as "side projects" on his own label Shockorama Records. Among the albums that have been self-released are, Galaxy Kings and I've Seen The End of the World and It Looks Like This. All of these side projects were re-released by Vanguard corresponding with the release of his 2006 album The Californian. Previously, these albums were of limited availability and only roughly 10,000 of the albums were printed. After releasing The Californian, he released Greatest Hits Live, recorded in Austin on July 17, 2006, by Shockorama Records, which was only available through his website. Bob remains committed to playing smaller venues and thrives on the energy of the stage. He currently has a long standing Monday night residency at the Saxon Pub, and plays the legendary Antone's in Austin, Texas, with both his band and, on occasion, the Scabs, all while maintaining a tireless touring schedule. Although he tours nationwide, he is still known best as a true Austin musician. His musical influences spread into the far reaches of musical culture—funk, soul, folk, lounge, rap, punk, even some melodic experimental-ism. He is also known for having dated Sandra Bullock. It is speculated that the breakup following their relationship became fodder for his music, although Schneider has been known to deny autobiographical content in his music.